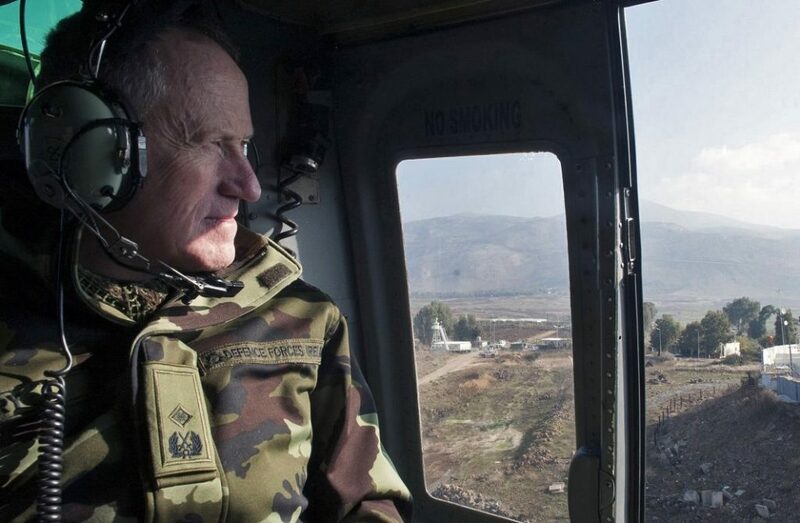 Members of ARCO will be aware that Major General Michael Beary has handed over command of the United Nations Interim Force In Lebanon (UNIFIL) and will retire shortly from the Defence Forces. 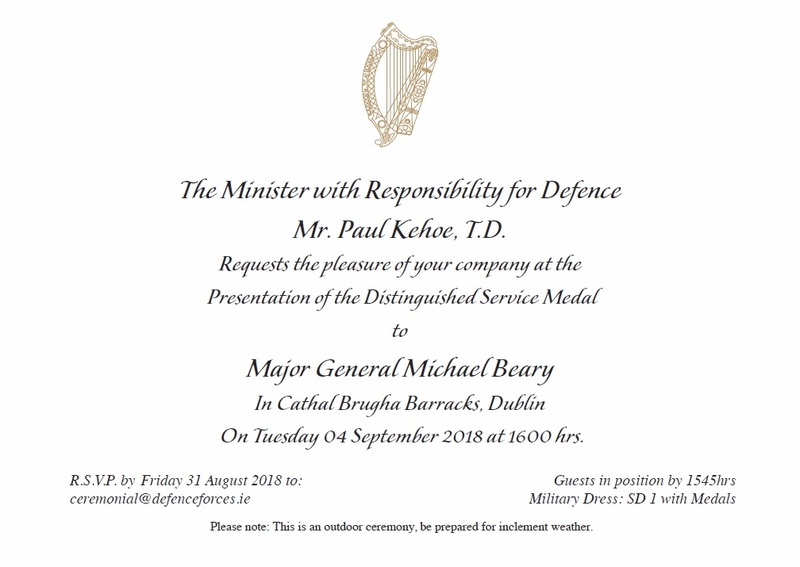 On Tuesday 4th September 2018, at 1600 hours, Major General Beary will be presented with the Distinguished Service Medal by the Minister with Responsibility for Defence, Mr. Paul Kehoe TD, at a ceremony in Cathal Brugha Barracks, Dublin. A reception for guests will be held after the ceremony. Lieutenant Colonel Ray Lane would like to invite ARCO colleagues to his Retirement Function and Presentation. 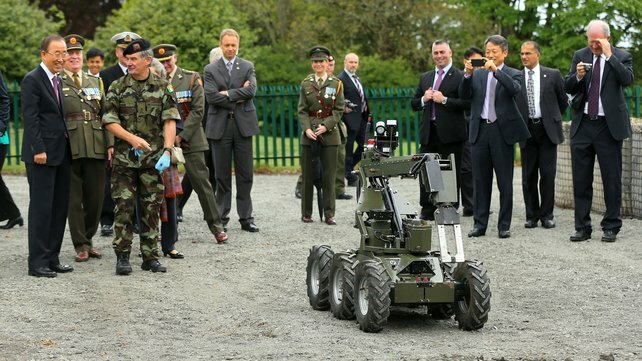 This is planned for 1400 hrs on Tuesday, 01 May 2018 in the Ordnance School, Ceannt Barracks, Defence Forces Training Centre and afterwards in Ceannt NCO’s Mess Complex for presentations and refreshments. There will be no associated costs for attendees but anyone planning to attend is kindly requested to notify the following Points-of-Contact in the Ordnance School not later than close of business on Friday 20 April 2018. A Service of Remembrance to honour and celebrate the life of Lieutenant Colonel Colman Goggin, who died recently, will take place on Wednesday, 9th November 2016, at 1400 hrs in the Garrison Church McKee Barracks and thereafter in Defence Forces Headquarters Officers Mess for refreshments. No doubt many of Colman’s wide circle of friends and colleagues will wish to attend. ARCO regrets to inform its members of the death of Lieutenant Alfred (Alfie) Johnston DSM, of Elmwood, Naas, County Kildare. On Friday 12th January 2018, in the tender care of the staff at Naas Hospital. Beloved husband of the late Mary and father of James, Robert, Mary, Claire and Tony. Sadly missed by his loving family, brothers, sisters, sons-in-law, daughters-in-law, grandchildren, sisters-in-law, brothers-in-law, nephews, nieces, relatives, neighbours and friends. Alfie was a member of the 2nd Potential Officers Course and on commissioning served in the Eastern Command with 2 Infantry Battalion and 2 Cavalry Squadron in Cathal Brugha Barracks and in Griffith Barracks. He was awarded the Distinguished Service Medal for courageous action while serving with the United Nations Force in the Republic of Congo on 29th of September 1960. Reposing at The George Mullins Funeral Home, Kilcullen Road, Naas on Sunday from 6.30 pm with prayers at 8 pm. Removal on Monday morning at 10.30 am to arrive at The Church of The Irish Martyrs, Balycane, Naas for Funeral Mass at 11 am followed by burial in St. Corban’s Cemetery, Naas.